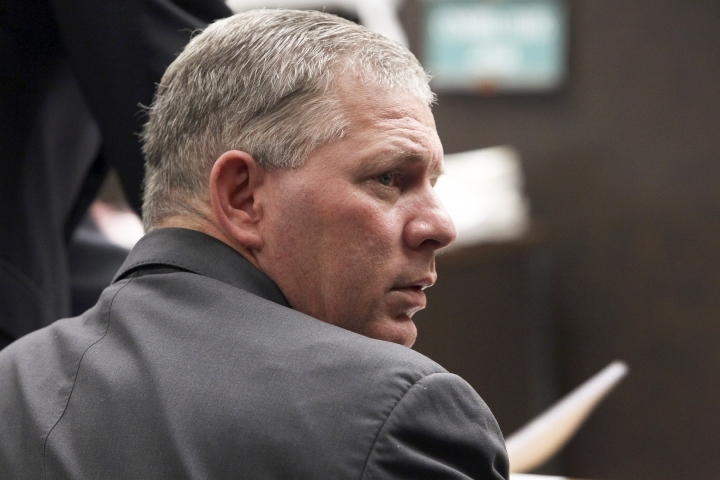 ELIZABETH, N.J. — A judge has dropped drug and terroristic threat charges filed against former Major League baseball player Lenny Dykstra after an altercation with an Uber driver. A judge dismissed the charges Friday after Dykstra pleaded guilty to disorderly conduct and was fined $125. Dykstra said he is "happy this chapter of my life is behind me." The three-time All-Star, who was a member of the New York Mets' 1986 championship team, said the driver tried to kidnap him in May 2018 in Linden after he asked to change the trip's destination. The driver told police Dykstra held a gun to his head, though no weapon was found. Dykstra's attorney, David Bahuriak, previously called the incident "overblown" and that his client was innocent. Bahuriak had filed a motion to suppress evidence before the judge's ruling, saying that a police search of the man's belongings was improper and there were no witnesses to the alleged threat. The judge granted the motion, telling Dykstra, "I hope you have learned a lesson from this." The driver told NJ.com that it was important Dykstra entered a guilty plea. He said Dykstra has "admitted to what he did in my car." A kidnapping complaint filed against the driver is pending. Since retiring from baseball, Dykstra has served prison time for bankruptcy fraud, grand theft auto and money laundering. He is currently facing a summons for illegally renting out rooms in his home for $1,000 each. Walk To The Place offers travel news of popular destinations for travelers with the urge to explore these places. Copyright © 2015 - 2019 Walk To The Place. All Rights Reserved.